Mohd Sofiyuddin advises on matters relating to compliance, governance, regulatory matters as well as regulatory reform, corporate advisory, financial services including Islamic, Islamic finance and company secretarial matters. He conducts compliance programmes, audits and awareness programmes including high level briefings to board of directors and senior management of leading foreign and local financial institutions. Mohd Sofiyuddin has been engaged for various corporate and financial advisory services, which include advising government ministries, authorities, and agencies, government linked companies and foreign and local financial services groups, multinational companies and conglomerates. 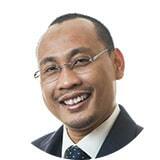 Further, he advises on law reform, regulatory frameworks and drafting of primary and subsidiary legislations. Mohd Sofiyuddin was a member of the working committee of the Association of Islamic Banking Institutions Malaysia (AIBIM) which standardised the interbank and corporate Master Wakalah and Murabahah Agreements for Islamic banks in Malaysia. He was appointed as an Advisor from January 2015 to a Malaysian statutory body, the Malaysia Productivity Corporation in relation to “Good Regulatory Practice” as propounded by the Government of Malaysia. Through a Ministerial appointment by the Minister of International Trade and Industry in December 2018, he was appointed from January 2019 to the Board of Directors of the Malaysia Productivity Corporation. He is also a Director of ZICO Law Thailand, and ZICO Trust Limited (Limited) (a subsidiary of ZICO Holdings Inc.), an Advisor to ASEAN Advisory Pte. Ltd., the management consultancy arm of ZICO Holdings Inc., and a Director of the Malaysia-Thai Chamber of Commerce. Mohd Sofiyuddin was called to the Malaysian Bar in 2002 and commenced his legal career as a litigation lawyer in the firm of Messrs. Amir Yussof & Zol. He subsequently left private practice to pursue a career as the Legal Officer and Company Secretary of Malaysian Rating Corporation Berhad (a credit rating agency). Later, he returned to private practice with Messrs. Albar & Partners, during which he was also the company secretary of the Perdana Leadership Foundation, a premier foundation under the guidance of its honorary president, YABhg. Tun Dr. Mahathir Mohamad. In 2009, he assumed the position of Head of Legal and Alternate Company Secretary of Asian Finance Bank Berhad (a foreign Islamic bank and part of the Qatar Islamic Bank group). In January 2011, he continued his career in legal practice and joined the Islamic Financial Services Practice of Messrs. Zaid Ibrahim & Co., where in January 2013, he was made a Partner and Head of the Compliance & Governance Practice. He served as an Executive Partner of ZICO Law Thailand, and as a Director of ZICO Law Myanmar from 2017-2018. He is currently a Partner with Zaid Ibrahim & Co. (a member of ZICO Law), a Director of ZICO Law Thailand (a subsidiary of ZICO Holdings Inc.) and ZICO Trust Limited (Labuan) (a subsidiary of ZICO Holdings Inc.), and an Advisor to ASEAN Advisory Pte. Ltd., the management consultancy arm of ZICO Holdings Inc. He is also an Advisor and a Director of a Malaysian statutory body, the Malaysia Productivity Corporation, and a Director of the Malaysia-Thai Chamber of Commerce. Authored a chapter on Private Debt Securities and Islamic Securities, in “An Introduction to Islamic and Conventional Corporate Finance”, published by Thomson Reuters Malaysia Sdn. Bhd. (trading as Sweet & Maxwell Asia) (2012).